After around 6 months since I last updated my qt-opencv-multithreaded project, I've finally released what I consider, more-or-less, a "final" version of the application. A few features have been added such as the ability to choose the priorities of the capture and processing threads at run-time, as well as the option to drop frames if the image/frame buffer is full (this is useful when lag is undesirable - i.e. not every frame is processed). The interface has also been neatened and the code has been simplified as well (a lot of redundant code has been removed), making the application much more easier to modify than before (see full list of features here). From the beginning it was my intention to keep the application simple in the hope that it would be used as the base for a range of interesting projects. 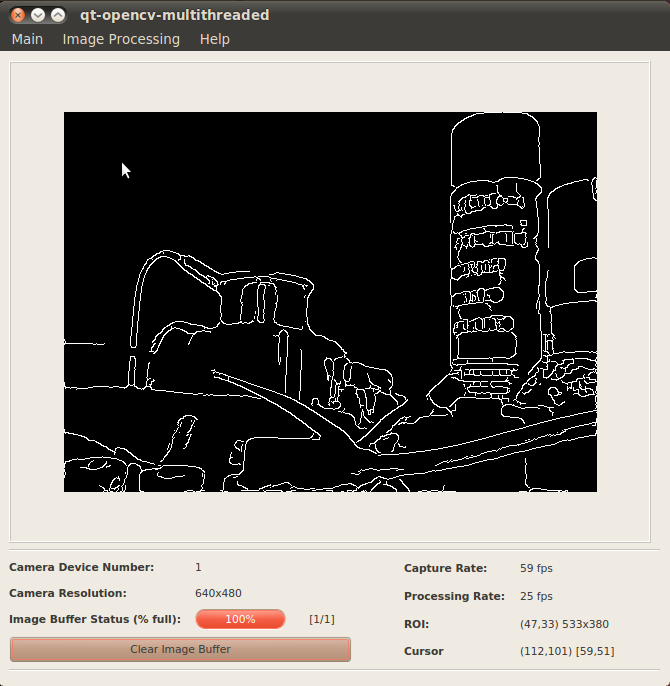 I now feel that it has enough basic features to be an excellent "base application" for any computer vision application using OpenCV and Qt. As a result, any updates in the future will only address bugs in the program (please do contact me if you happen to find any!). This "base application" was used (and is currently still being used) as the base for software written as a part of my university undergraduate thesis project (see video here). In short, the software features two extra threads with the GUI highly modified to suit the project application and over the last year or so, has proven to be highly stable. As before, please go to the project page at Google Code to download the application and for more details (including installation and usage instructions). Any feedback/suggestions/questions would be greatly appreciated. I'd also like to thank everyone who has downloaded and tried the application so far! 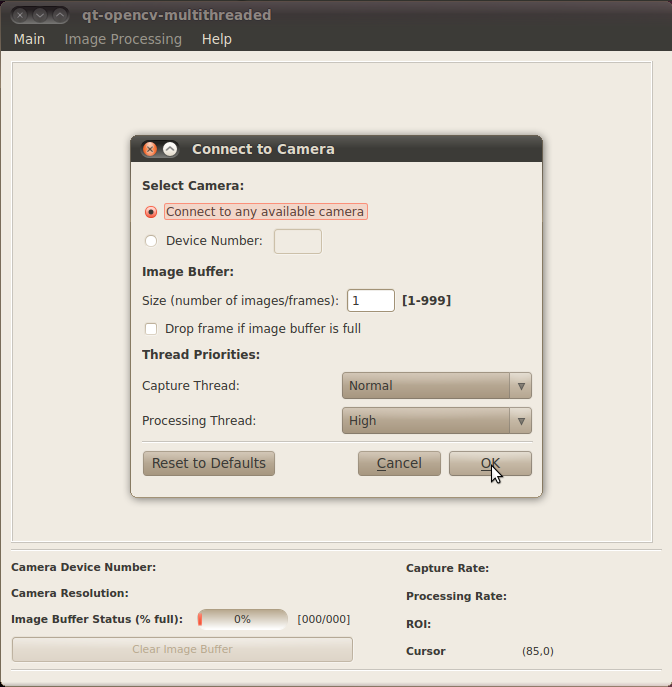 Camera connect dialog showing new options to select thread priority and drop frames. I've also added v2.92.01 [currently the latest (last?) version of uC/OS-II] port files to the AVR XMEGA uC/OS-II Ports project page. Enjoy!